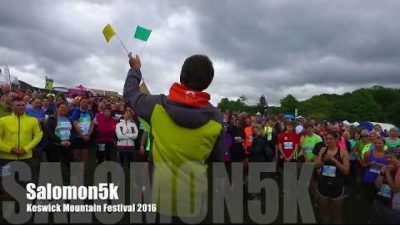 Home » News » Keswick Mountain Festival 2017 - A race weekend to remember! With an extremely difficult weekend of weather it took a cool and calm team to deliver the KMF 2017 events this year, here's the race directors report from Charlie to update you on the weekends activities. The Salomon Trail Races at the Keswick Mountain Festival are always a big under taking and its a stressful week in the build up to the event. This year proved to be a little blowy, or so the weather sites suggested, and as normal we started looking at the reports on Wednesday, any earlier only gives a rough indication of what might happen. June can be a settled month or it can be a little changeable, lets face it, its the Lake District and we are governed by the Atlantic air flows so it was quite unnerving to see big low pressures moving in from the west over the middle to end of the week, this could mean heavy winds and heavy rain. The thing is, we have had a very dry start to the year and the law of averages, some call it 'sods law' means at some point the weather will break and we will get wet! This looked distinctly possible and a real shame, as every festival needs good weather although if your a runner then some moisture and cloud is a good thing when racing. 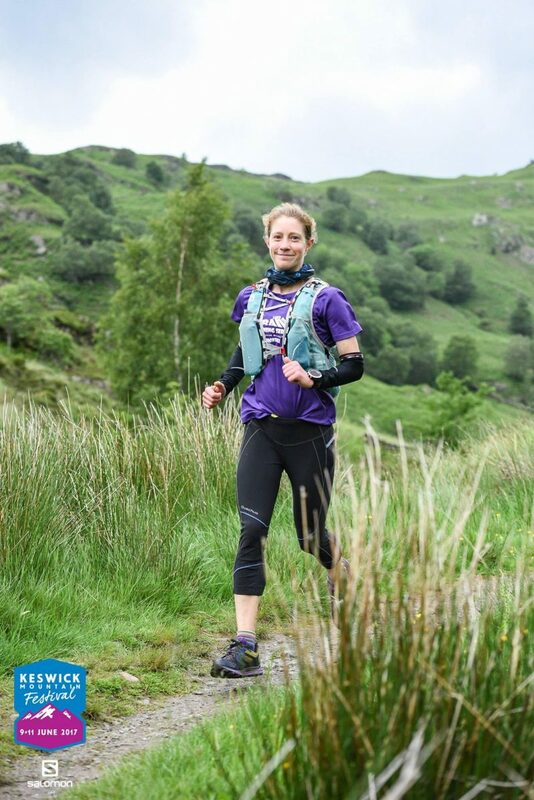 We start to set the courses on the Friday and set the team off in relatively good weather, our team is very experienced and they make an excellent job of making sure the runners can enjoy the running without having to navigate, as this is what KMF trail running is all about. Its the running that counts, not finding your way. Whilst the team finished the 25km route, the festival goers had already started enjoying the bouncing sounds of the Peatbog Fairies, a great warm up for a fantastic festival. Food stalls were buzzing, the bars were churning out the pints and everyone was looking very happy indeed. Life at the KMF event was good and Saturday looked like a good day for racing, now the weather was looking up, but the forecast was changing hour by hour. Saturday morning was much better than expected, the torrential rain stayed in the South and West Lakes, we had some low cloud, a bit of wind and some light rain/drissle. This was a bonus for us. The road crossing had still been a concern and we swapped from 3 split waves to 7 split waves in order to elevate the bottle neck at the road. It was the right decision from a running perspective, but too late from a registration perspective and we had some minor delays in the registration tent, so apologies to our competitors there. Saturday's racing looked like it was going to be very interesting with some top UK and World Class runners in the field for the 25km, with names like Eoin Lennon (last years CR holder), Tom Owens (Salomon sponsored), Rob Hope (top fell runner and Salomon sponsored), plus plenty of other fast guy's like Mountain Fuel's Lee 'Toasty' Newton amongst others and in the Ladies Race we had Lou Robert, who has been Ladies Fell Running Champ in the past and is a top UK fell runners, Annie Conway running for Salomon, who is the ladies mountain running champ as well, plus a whole host of other fast ladies. We had an exciting race planned and it was about to be underway. Wind kept the start arch on the ground, then a failed generator added to the confusion. The 'elite' wave were underway bang on 11:00 and we aimed to get each wave after that running every 5 minutes. The road crossing worked well and we had runners across swiftly and smoothly into Castle Head Woods before anyone knew what was happening, plus each wave ran almost every 5 minutes and with the obvious 'no shows' that we knew would happen due to the forecasts we had 5 full waves and 2 small waves leave the events centre and head out onto the course. The conditions were slippy underfoot and we experienced a few slips, trips and falls, the worst being a rolled ankle and gashed knee, which were dealt with by the events medical team. Two runners were moving fast round the course, but we had no idea who it was until Portinscale when we received reports that the 1st runner had a beard and we knew it had to be Eoin Lennon, last years record holder, who was running for Mountain Fuel incidentally. We assumed Tom Owens was the 2nd place runenr and as they rounded into Crow Park we saw exactly this. Both of them broke the previous years record by over 5 minutes to put in cracking times of 1:45:27 and 1:45:34 respectively with Eoin just pulling away from Tom in the final 200m. 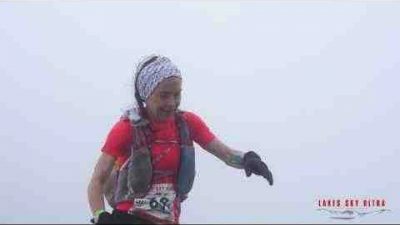 The Ladies race is harder to follow, as the men get in the way, but we knew Lou Roberts(ex English and British Ladies Fell Running Champ and represented Britain in the World Mountain Running Champs in 2016) would be out for the £200 prize up for grabs to break the Ladies CR and she was loosing no punches here. As expected she cruised across the line in a cracking time of 2:08:30 with Annie Conway hot on her heals in a time of 2:12:00 (who is no slouch either winning the World Long Distance Mountain Running Championship's last year in Slovenia) and third place was taken by Clara Horswell in a time of 2:19:53, meaning all 3 ladies beat the CR set by Lucy Colquhoun in 2016. In the 5km distance we had some fast folk, with Team Mountain Fuel's James Appleton (2nd place last year in the KMF Salomon 50km Ultra) as the favourite to win, but could he steal the CR from Mark Lamb, set in 2016 on this fast but technical 5km course. James ran a superb race and crossed the line for the CR, £200 prize money and another win for Team Mountain Fuel in a fantastic time of 18:39, taking 1:01 of Mark's record from last year. 2nd place was taken by Sam Garratt in a tome of 20:49 and 3rd went to Andrew Forbes in a time of 21:17. The Ladies 5km Race went really well with Margret Duncan taking the win in a time of 25:18, Karen Nicholson taking the 2nd place in 25:28 and Rachel Brenton close behind in 3rd place with 25:35. The kids 5km was a new edition for 2017 and we mixed them into the first wave with the adults, for 2018 we'll have a separate wave and will be looking forward to some ultra fast times for these guys. The boys race was taken by Ben Forshaw in a cracking time of 22:46, putting him 6th overall... watch out for this guy as he progresses through the age categories and in the girls race Emily Allison took the win in a super fast time of 25:53, making her the 4th fastest female and 21st overall out of 330 runners who turned up to race! As the races calmed down and the events centre turned from a sporting arena to a festival music site, alcohol was flowing, food was eaten and Keswick Mountain Festival once more pleased the crowds with iconic bands from the 90's. Sunday was an early start and the events team arrived on site to start the Salomon 50km Ultra at 06:00. We arrive an hour and a half early to make sure that registration is working properly and get everything ready, send course provers out to run the course before the trail racers hit the course, as we know markings can go walk about and make sure the CP marshals are deployed and ready for the race to commence. Usually this runs smoothly, but when we were told by the 'events safety team', that the Crow Park events centre would not be running today due to high winds we found ourselves moving the registration to a rogue location outside the Theatre on the Lake, whilst the runners would be set off from the same location. This wasn't a major issue for the 50km, but it was slightly touch and go whether we decided to more to shortened courses, however the winds weren't too much for us, so we continued with the full route, as planned. 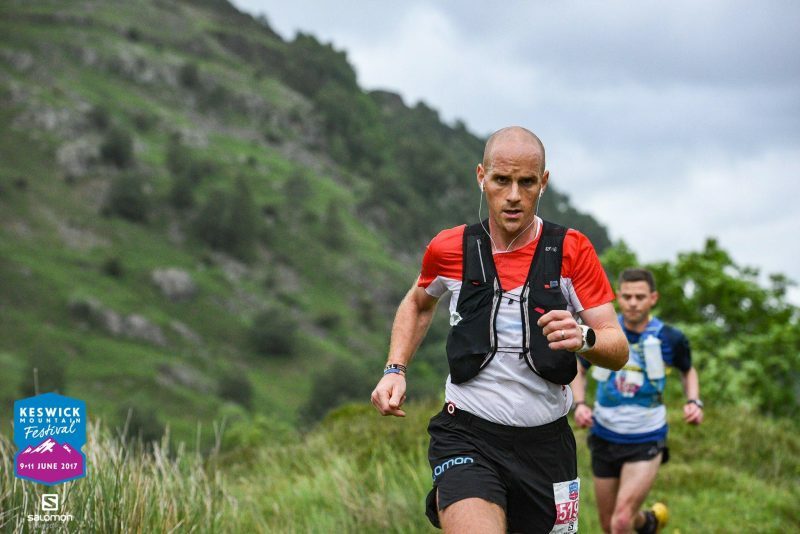 There was due to be an exciting race in the mens and ladies segments and as the race progressed it was obvious that Donnie Campbell, running for Salomon and Team Mountain Fuel, was not letting anyone have a breather as he pushed the pace and stayed in the lead from Honister onwards. With serious head winds, but tail winds up the Sail Beck valley, Donnie ran a great race to take the win and set a new CR as well in a time of 4:24:18, taking over 10 minutes off his CR from 2016. Jacob Snochowski, running for Team Mountain Fuel, was making great progress in 2nd place and finished just outside Donnie's record from 2016 in a cracking time of 4:37:49 and third is as yet, unconfirmed. The Ladies race was equally as exciting and there was a hard CR to beat, set by Beth Pascal in 2016, but Joanna Hill gave it her best shot running extremely well to take the 1st place in a time of 5:31:10, but still 10 minutes shy of Beth's time from 2016, finishing in 11th place overall. 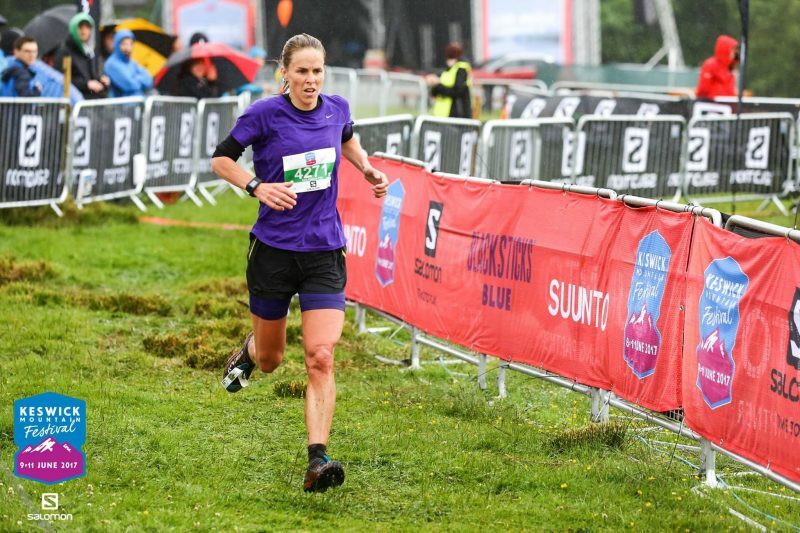 Lucy Colquhoun ran a great race to take the 2nd place in a time of 5:43:46, with Tracy Dean taking the 3rd place in a time of 6:00:48 for Raidlight UK and Team Mountain Fuel, bettering her 2016 time by just over 6 minutes in very tough winds. With the 50km in full flow my concentration turned to the 10km race and the first boat. We have to make some tough decisions on the boats, as winds can stop play and we look very closely at the weather over the week before, really looking closely from Wednesday onwards. By Friday morning we have to decide whether to book coaches or not as a back up. With South Westerly gales blowing in during the week it was a close call to know if we could operate. The Keswick Launch guys are extremely knowledgable and we trust their judgement explicitly, but even though they were ultra sure they could run the service, we booked a couple of coaches as a back up plan and oh my were we glad we did. With the winds closing the festival site it looked unlikely that we could run the boats at all, but with careful consultation and the Launch Team making an exploratory ride out to the far side of the island we had the thumbs up for the 1st wave of runners. We loaded them up and sent them on a log flume type ride across the increasingly choppy waters of Derwent Water to meet our expert team at Hawes End pier to welcome them onto 'terra firma' and dry land once more, ready to start the elite wave of the 10km. Mark Lamb was running in this wave for Team Mountain Fuel again and was favourite to win, looking to take the CR from local Salomon sponsored Ricky Lightfoot, set in 2016. As the 1st wave was underway we set to shortening the finish to the back of Crow Park, as we couldn't allow runners onto the site and set up a make shift finish manned by the Brand Events team and the ultra calm guys from Team Nutrition, who were supplying, as they have done for the last 4 years, electrolyte drinks at the finish, to re-hydrate the runners as they cross the line. This shortening knocked 700m off the course and meant Mark would have to run a very fast race to beat Ricky's time. Now with the 10k in full flow we made the decision, along side the Keswick Launches, to move to coaches and we loaded the 1st 100 runners onto the 1st two coaches. These were despatched and the runners were dropped off at Hawes End Outdoor Centre. Unfortunately, the coach company had decided to send one of the coaches longer than booked and there became a log jam in the system whilst this coach became stuck turning to get back for the 2nd half of the 2nd wave. This was really a nightmare scenario on top of the already stretched and stressed team dealing with the 10km and we had around 20 minutes of 'free fall' before we were able to establish whether the coach could become unstuck and start transporting the runners again. This meant cold and stressed runners at the events centre waiting very patiently to know whether we were continuing the 10k or whether we might have to cancel. Unfortunately I have to say that the runners did not get all the info they required and confusion ensued as we had a hard job trying to manage the ever building log jam of runners from waves 2 & 3, with the main events centre closed and resources stretched to the maximum. We are very conscious about this and have already started taking about how we can implement future contingency plans for 2018, should we be unlucky enough to be dealing with high winds again and to be honest with events closing/cancelling all across the North West of the UK, we did our very best to keep the operation running smoothly and could quite easily have cancelled once our operations arena was closed to not just the public, but the events team as well. At the 11th hour, with understandably irate runners and down to only one coach we had an angel shone down as a coach driver became available, with our guy now unstuck and we were still able to operate a 2 coach relay system to work through the rest of the cold, but still raring to go runners. In amongst this operation we still had the Long Tri event happening, which was shortened for obvious reason's, but it added to the dynamics of the event and management of it all the same. Still, CR's were broken as Rachel Campbell crossed the line to smash the women's 10km, running again for Team Mountain Fuel, who seem to dominate these events with a great line up of runners - other teams out there, come and give Team Mountain Fuel a run for their money next year please!! - in a cracking time of 46:12. Second place fell to Cara Hayes in a time of 47:20 and the 3rd place was picked up by Nadia Shaw in a time of 47:32. In the mens race Mark Lamb did indeed take the win in a fantastic time of 37:14, but with the shortened course we don't feel, after very careful consultation, that he did enough to take the 2016 CR. Again Mark was running for Team Mountain Fuel! Second place was taken by Nathan Williams in a time of 40:08 and third fell to Joseph Wade in a time of 43:01. That concluded the Keswick Mountain Festival Trail Races. Whilst we know there was some difficult times, I would really like to thank my amazing team of marshals and core events team, who through very difficult weather and stressful situation kept there cool to deliver some fantastic trail races and although we know some of you runners will have got pretty irate at times I would really like to thank all of you for bearing with myself, my team and the KMF team as we tried our best to still run seamless races when all the odds seemed stacked against us. I know it was difficult at times. Of course we have got some big timing errors on the 10km due to the circumstances and I would request you bear with us and the Results Base Team whilst we work through these that you may have emailed to us. If you feel your time is incorrect, please don't hesitate to get in touch with us to let us know your own watch time. So after a very tough weekend, its time for me to now thanks the land owners, such as the National Trust, and other private bodies, plus the farmers and other fell users who make it such a pleasure to organise these fantastic trail running events each year. I couldn't do it without my team, the races simply wouldn't exist without the race marshals giving up their time to look after you all and thanks also go to Team Nutrition for hydrating you around the course with their ground breaking clean energy Super Hydrate, the KMF Team, Brand Events Team, Results Base Team and the great Events Safety Group, plus of course thanks to the Traffic Management Team who see the 25km runners across the road and last but certainly not least the Events Medics who look after anyone who has slipped and injured themselves. Until next year, enjoy your trail running, where every you might be! Lakes Sky Ultra 2017 - Epic weather, epic race!